Rabbi Glasser, originally from Teaneck, New Jersey, spent six years learning in the Ner Israel Rabbinical College Kollel before joining the GWCK. While at Ner Israel he completed his Masters of Education from Johns Hopkins University and earned a Teaching Certificate from the Torah Umesorah Teacher Training Program. His warm and friendly nature made him a tremendous asset to the Kollel. As a Scholar and lecturer, Rabbi Glassberg delivered classes in Jewish thought and philosophy based on the writings of the Maharal and taught a weekly women’s Parsha class in Potomac. A graduate of the Kollel, Rabbi Glassberg is currenlty a Business Analyst in the Government Acquisitions and Procurement arena. 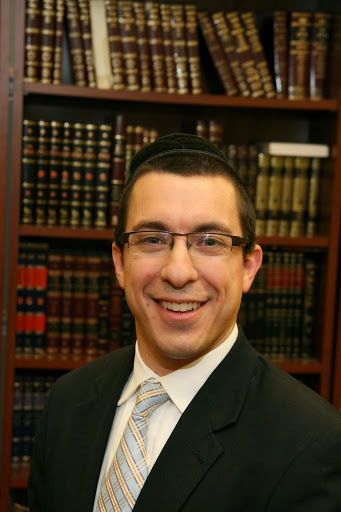 As Director of Alumni Activities, Rabbi Glassberg works closely with Rabbi Winter on Kollel projects, and interfaces with the community as a Kollel representative. In addition, he serves as a Gabbai of Southeast Hebrew Congregation. Mrs. Elana Glassberg also continues to be involved with the Kollel, running teenage youth activities and discussions for teenagers across the Greater Washington community.